← AFI #16: Sunset Blvd. 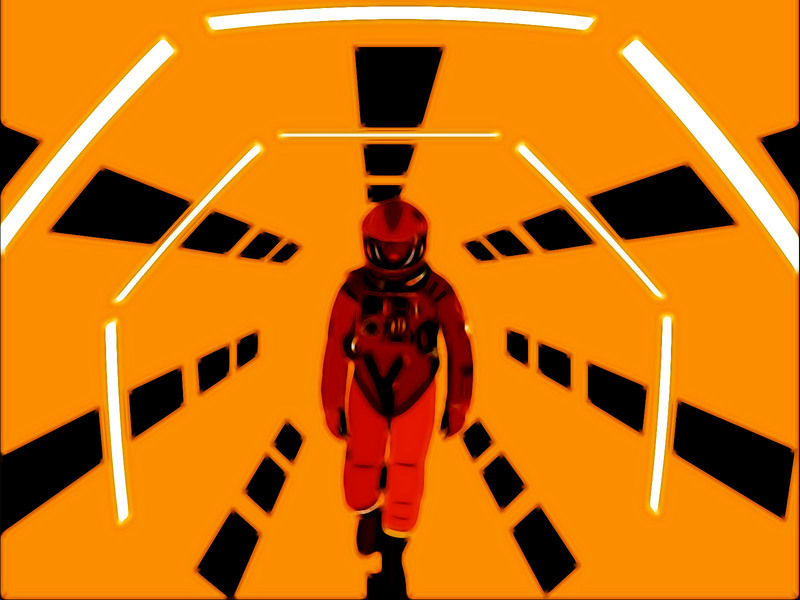 2001 is one of my all-time favorites. I saw it on a giant curved screen (the IMAX of its day) in 1968 with my dad and brother and we were blown away by the special effects that were waaaaay ahead of their time. (Remember, this movie came out a year before the first moon landing.) We spent the car ride home talking about the technology that the film predicted — Would we really ever land on the moon? Would there ever really be talking computers? Would there be a permanent orbiting Space Station? I was 9 years old and this imaginative view of the future was awesome. I didn’t need to understand anything beyond that. As my dad tucked us into bed that night, we figured out how old the three of us would be in 2001 and had a good laugh at the very thought of it. We wondered if the movie would withstand the test of time. The next time I saw 2001 was on January 1, 2001. I invited my dad and brother to watch it once again. The special effects still looked great to us, even in a post Star Wars era. The technology predictions didn’t seem important anymore. We now understood that the Monolith was a giant silicon microchip and that computers were becoming more human-like, etc. As an adult, the deep questions the story raises about evolution and humanity emerged as the more interesting aspect of the movie. I have watched 2001 a dozen times since and with every viewing my understanding evolves. Throughout the film people are oblivious and indifferent to the miracle of human life right that is right in front of them (e.g., Frank Poole birthday and babies) but they are fascinated with the prospect of alien life. HAL is IBM with each letter moved up one letter. The very first tool is a bone that man uses to kill man and the very latest tool is a computer that kills man. Anyway, 2001 is not a movie that can be fully understood or appreciated in one sitting. But most great movies aren’t. I liked the book much more than the movie. Like you, I thought it was confusing and boring. But I remember enjoying the book very much. Of course, I do love scifi.